This category is for shirt purchase only. This option does not include a race registration. 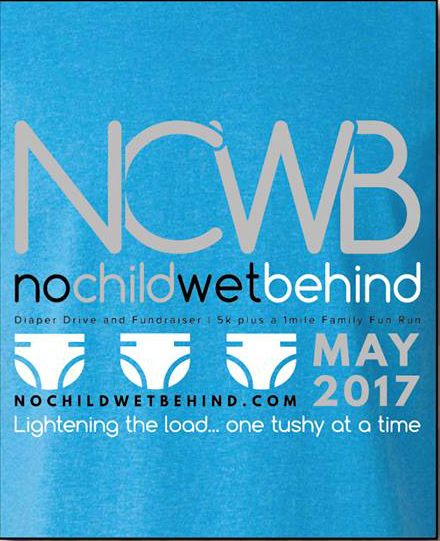 When you register to run or walk, buy a t-shirt, pledge diapers or make a donation, you're helping the one in three children who suffer from diaper need. In the Greater Cincinnati area, there are 16,600 children who don't have enough diapers every day. To cover the "diaper gap," or the difference between the number of diapers each child has and the number of diapers they actually need, we would need 800,000 diapers PER MONTH. Help us make diaper need a thing of the past! Packet pickup will be from 8:00am - 8:45am on Race Day, May 20, at Winton Woods Park. If you have diapers for donation, please pre-count and bring them with you to registration (packet pickup). The top finisher overall will receive a special gift. Top finisher in each age group. When this page loaded, the official time was 8:31:37 AM EDT.